There are many beautiful towns and villages along the Amalfi coast but Positano is the arguably the most photogenic. This former fishing village turned chic resort is the place to be seen and attracts a good looking, exclusive crowd. 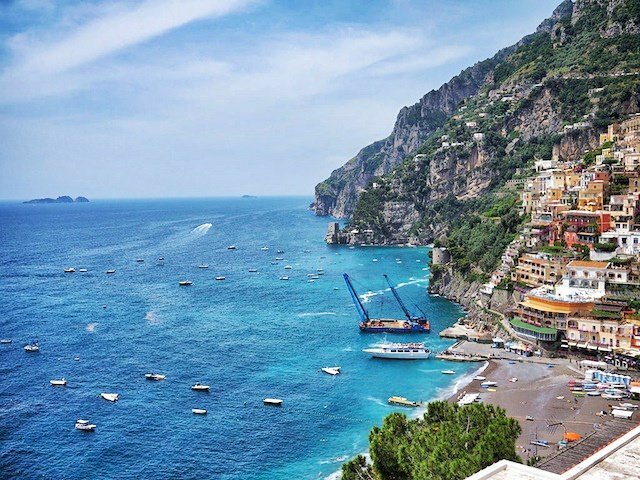 Its orientation also makes it really stand out – you’ll find Positano perched atop a steep rocky hill and its pretty narrow streets wind all the way down to the water. Think gorgeous pastel villas clinging to the mountainside, exclusive boutiques, cosmopolitan restaurants and a mostly crowded but very cute pebble beach. 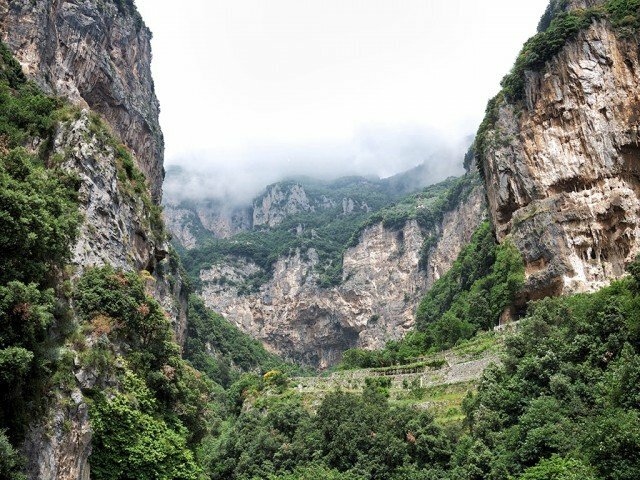 The Amalfi coast road offers one of the most exhilarating drives in the world, although it’s not for the faint-hearted. We flew into Naples airport, pre-booked a taxi to our hotel via www.booktaxinaples.com then we took a hired Fiat 500 and then headed down towards the coast. Once you hit the serpentine road you’ll weave your way through tunnels, past speeding mopeds (and the odd lemon seller) and around sharp hairpin bends, often getting hair-raisingly close to the cliffs. On one side the sea glistens past a steep drop, and on the other, towering cliffs dotted with pretty terraced villages and lush gardens hang overhead. 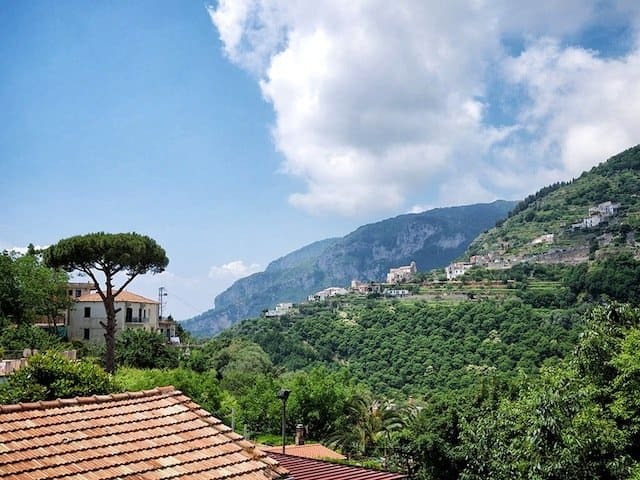 Set high in the hills above the Amalfi coast, Ravello is as glamorous as it is cultured, with a long history of entertaining the rich and famous. 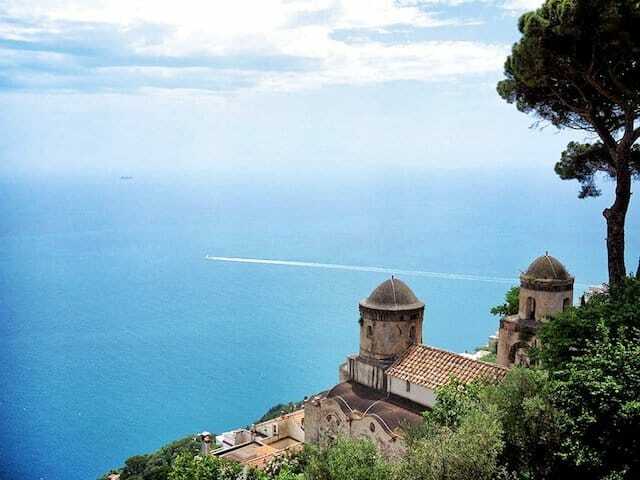 Granted UNESCO World Heritage status, it is home to the impressive Villa Rufolo – said to inspired Wagner, and now home to an annual chamber music concert – where visitors can gaze out over the coastline from the well-tended gardens. 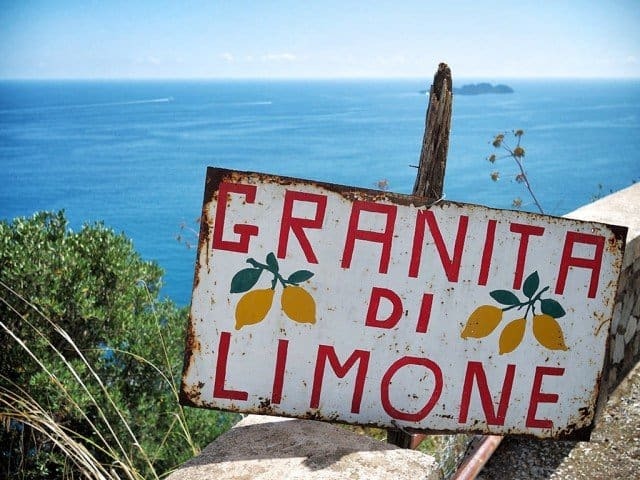 Wander the streets, stopping at the little boutiques to buy handmade ceramics and locally produced limoncello, or find a table at one of the many family-run trattorias for dinner with a side order of a spectacular vista. The Amalfi coast easily has some of the most beautiful beaches in Italy. They are an eclectic mixture of intimate pebbly coves and long stretches of golden sand but all the beaches have the crystal blue sea and the enveloping towering cliffs in common. Visiting sun-worshippers will have to make their way down long flights of stone steps or vertigo-inducing coastal paths, but the rewards are worth it – think gorgeous sun-soaked bays and warm gentle waves lapping at the shore. This relatively small town was once at the heart of Italy’s maritime republic and was a trading hub that boasted a population of over 70,000. Now it’s a little more modest, with a far smaller population, but can be crowded with tourists in peak season. The short seafront promenade is a good place to relax and soak up the sun before you head inland to wander the narrow streets. Be sure to see the Cattedrale di Sant’Andrea – a beautiful 9th century cathedral perched at the top of a wide set of stairs, and overlooking the Piazza del Duomo. 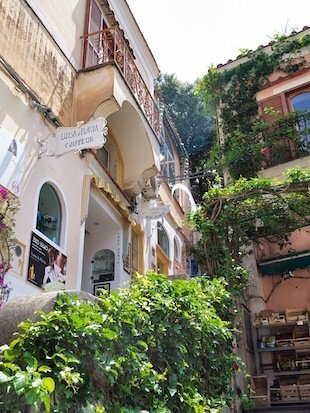 For an insight into Amalfi’s seafaring past, check out the Museo Arsenale Amalfi, before stopping for an obligatory tasty gelato. 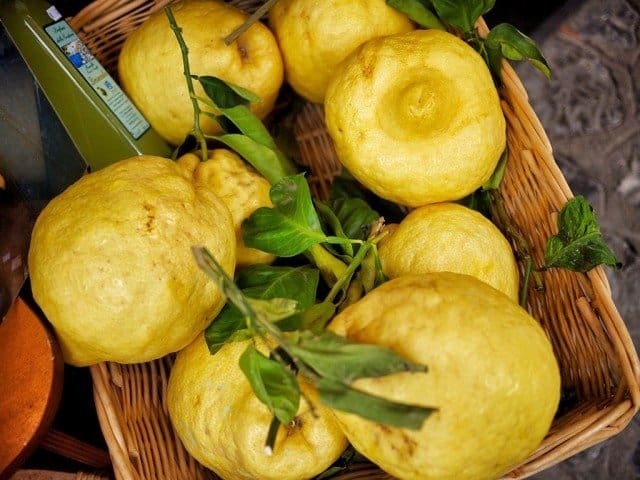 When you see the size of the lemons growing in Amalfi (think the size of grapefruits – yes really) you will know why the ubiquitous sweet liqueur tastes so good. Do as the locals do and drink after almost every meal – it’s supposed to be an excellent digestif. From intimate boutique retreats to grand five-star hotels, no matter where you stay along the Amalfi coast you will always have serious accommodation envy. 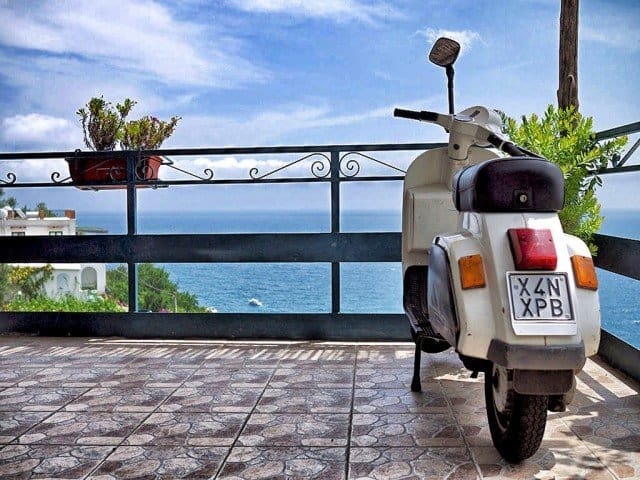 You won’t find many ultra-modern hotels along the coast (this is Italy and here they like to keep things very traditional), although who needs modern when you can stay on a cliff-top terrace surrounded by lush lemon groves overlooking the sparkling sea below? Yes Sorrento is now an unashamed resort town and mostly overcrowded during the summer months but the gateway to the Amalfi coast should still be an essential part of your trip (it also makes a great base to explore the surrounding area). Reasonably priced restaurants, lively but surprisingly untacky bars and shops selling everything from souvenirs to traditional lacework are the main focus here, but the views are also pretty spectacular. 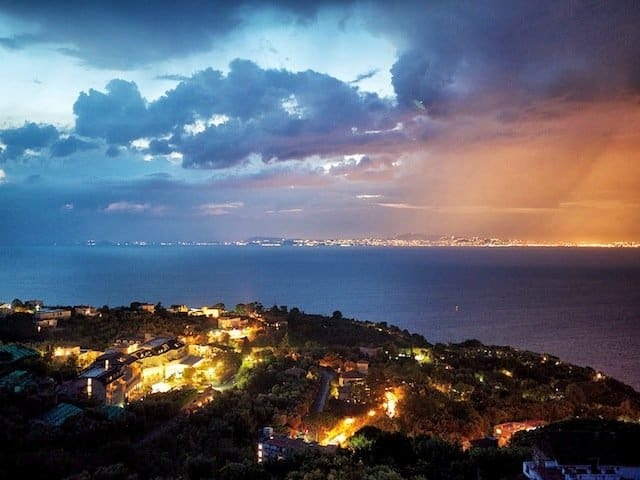 It may not have its own beach but Sorrento enjoys a very privileged position straddling the cliffs that overlook the water to Naples and Mt Vesuvius. Pizza and pasta might be the first things that come to mind when you think of Italy and although the Amalfi coast does these very well, it does gourmet restaurants even better – the area is home to no less than seven Michelin-starred restaurants. Try La Sponda for fine local cuisine and even finer views or Da Adolfo for a more authentic shabby-chic dining experience, just make sure you arrive by boat and order that morning’s catch. 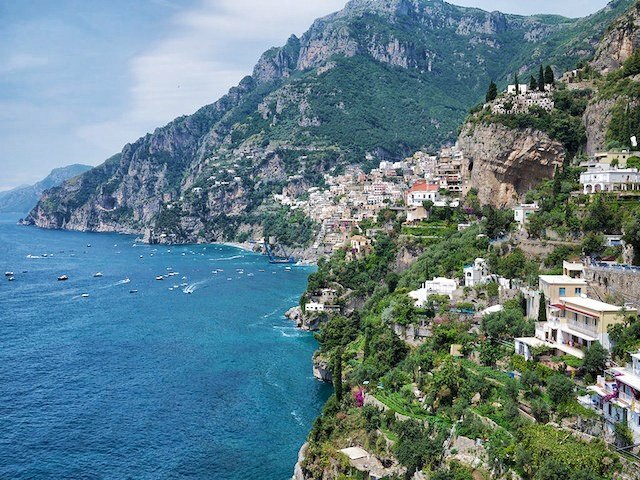 Last but not least… Amalfi is all about the views. All words and images by Becky Moore. Great pictures makes me want to go back to Italy again. We spent a few days in Positano and loved it. The Amalfi Coast should be on everyones list of places to visit. Great post!! Oh, thank you so much for the memories!! 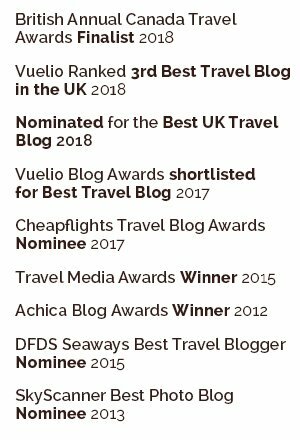 I for one couldn’t agree more with your list of reasons to visit the Amalfi Coast. It was our dream come true and a drive we will never forget! 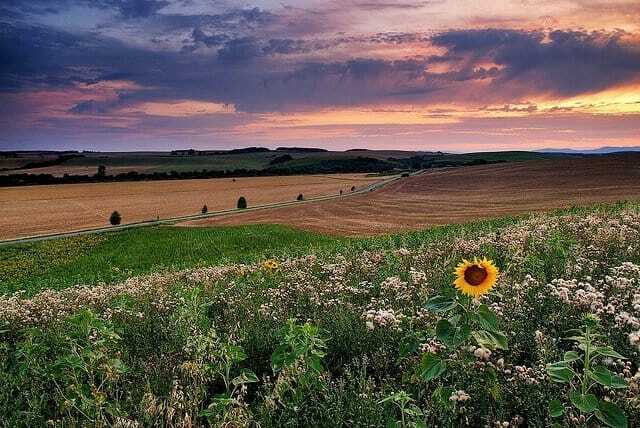 Great post and beautiful pictures too. Love love love the Amalfi coast. 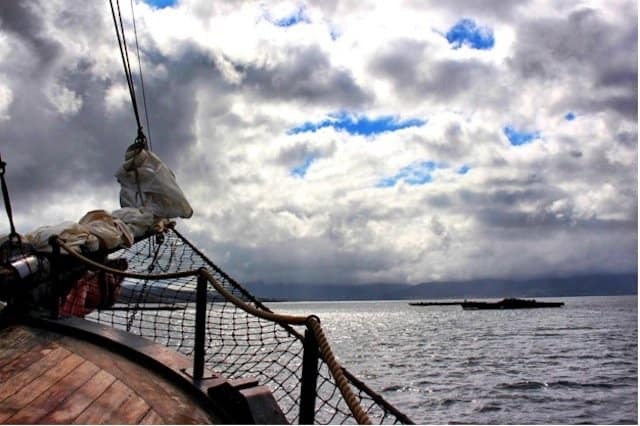 I’ll never forget our day trip there! Beautiful! 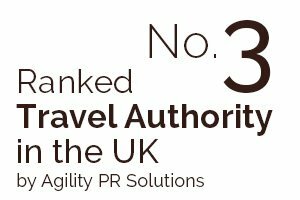 I have to admit I haven’t been yet but I’ve always wanted to go and now I think I will have to bump it up the list! Love this part of Italy it really is very special! Got to love a bit of Italy, gorgeous photos! I’ve never heard neither seen or tastes limoncello. Can’t wait to experience it! Oh Agness you’re missing out 😉 Let us know what you think when you do get a taste! 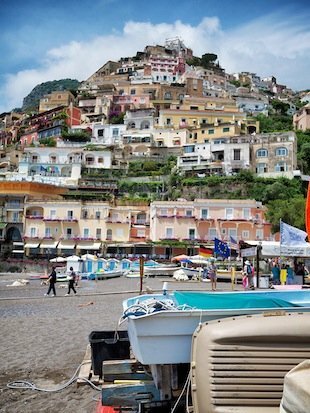 Love the Amalfi coast, great post. I was in Italy and the Amalfi coast only in September/October and miss it terribly already. 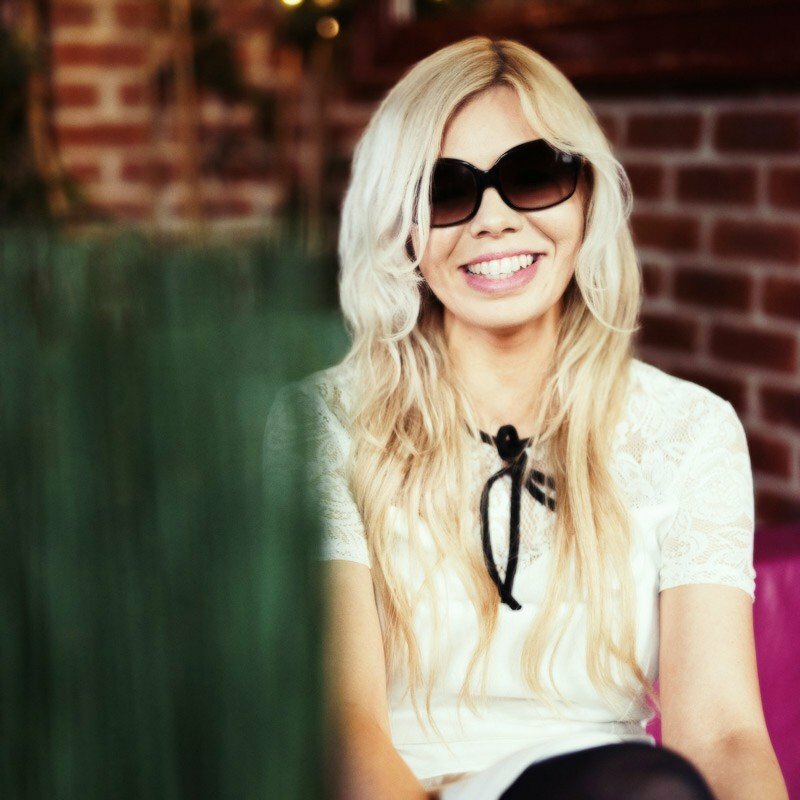 Thanks for the great photo’s took me right back. I actually stood on that beach in Positano! Amazing Italy! Some of the best seafood I’ve ever had as been in Amalfi. There is no place like it and I really hope to visit again one day! Thanks for the inspiration! Thanks Tiana, I’m sure we’ll go again one day too! Thanks a lot Becky for sharing this awesome post. 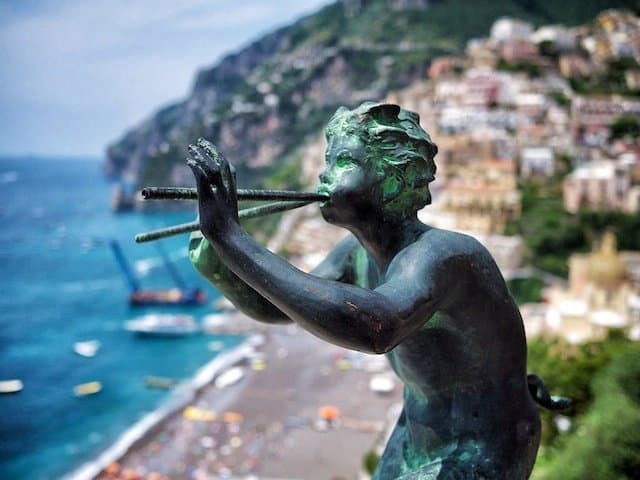 Will definitely love to visit Amalfi at least for once… especially for those vast beaches and the excellent views. Thanks Susan, the views in Amalfi are definitely some of the best in Europe. You definitely should it’s such a pretty place and very photogenic! 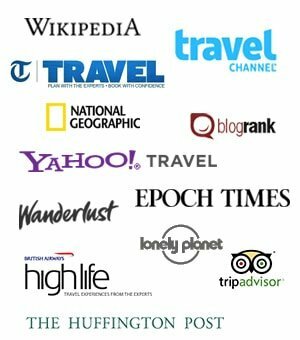 Great reasons to visit!! Those lemons are huge. Ha ha thanks Tanya yes we couldn’t believe the size of them!